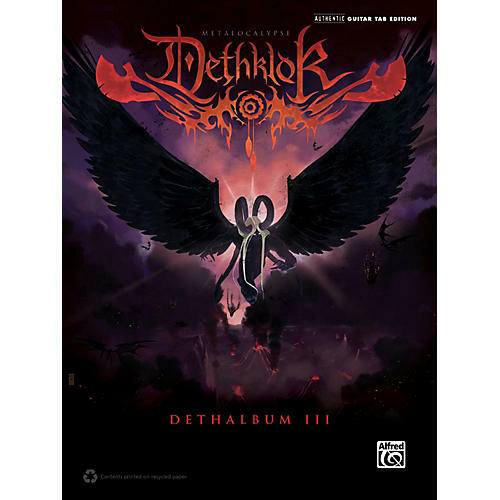 Dethklok, the virtual band from Adult Swim's show Metalocalypse, returns with a tongue-in-cheek vengeance on Dethalbum III. This album-matching folio contains all 12 songs from the record in authentic guitar TAB transcriptions. Titles: Crush the Industry * Andromeda * The Galaxy * Starved * Killstardo Abominate * Ghostqueen * Skyhunter * The Hammer * Rejoin * and more.